Over three decades of Professional Biohazard, Industrial Site, Ventilation and Difficult Access Cleaning across Scotland. We provide a comprehensive Biohazard Cleaning service both for one off and scheduled cleaning contracts. Doff Steam Cleaning is a modern marvel when it comes to cleaning. It is not the same as pressure washing but achieves results that can be far superior. Confined Spaces Cleaning for anything from sewers to basements, underlofts, chimneys and service tunnels. From factories and warehouses to restaurants, stores, venues and office buildings. We provide ventilation cleaning as one off cleaning service or as part of a monthly, bi monthly or yearly cleaning service. Balmore Contracting are a Glasgow based Difficult Access Cleaning Specialist. Fully trained, qualified and certified in Biohazard Cleaning, Industrial Site Cleaning, Ventilation and Difficult Access Cleaning, we have been providing a vital service across Glasgow, Edinburgh and indeed the entire country. With three decades of experience as a quality cleaning service for both the corporate, industrial and public sectors, we are constantly reinvesting in out personnel and equipment to ensure that we can thoroughly clean every and any surface and material. We provide a 24 hour rapid response service for the likes of Biohazard cleaning and offer everything from monthly contracted cleaning site work down to one off deep clean and restoration services for those that have been hit by Flood damage and Fire damage. If you require cleaning services in difficult access points across Glasgow or Edinburgh then Balmore Contracting can provide a professional, reliable cleaning service each and every time. 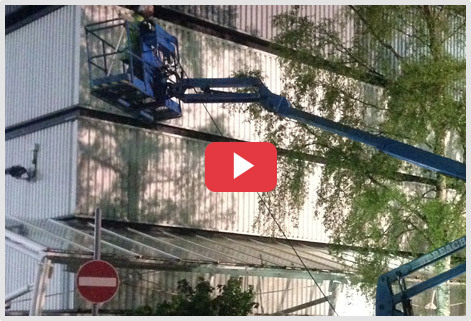 From aerial rigging to building inspection, painting, coating and repairing; our industrial rope access team can provide a fast, flexible and cost effective alternative to scaffolding. Across Glasgow and Edinburgh, our rope access team are perfectly placed for fast deployment. Providing industrial cleaning services for facilities and businesses in Glasgow and all across Scotland for over 30 years. With our clients consistently returning to use our cleaning and bio-hazard services and our great customer feedback we know that we offer some of the best industrial cleaning services around. Biohazards ranging from human bodily fluids and faecal matter have the unfortunate ability to carry dangerous viruses such as Hepatitus B, Heapatitus C and HIV. Using a professional biohazard cleaning service from Balmore Contracting will ensure the safe decontamination and site cleaning of any and all areas exposed to a bio hazard. Trauma Cleanup and Crime Scene cleanup across Glasgow involves the removal and cleaning or disposal of items that have been contaminated with body fluids / blood, or tissue matter. Our Trauma Cleaning Service does not stop there. Find out more about our trauma cleanup services in across Scotland. A common problem when cleaning is the hard to reach places and as a consequence, they are left to gather dirt, grime and dust. We do not believe there is such a place and with our equipment and experienced cleaners, there is no spot we cannot reach. Cleaning air ducts and ventilation ventilation systems on a regular basis is a priority, as no matter how efficient your filters are at trapping grease or dust particles it is inevitable that grease deposits will build up and dust gets accumulated in your systems which can become a safety hazard. Established in 1989, Balmore continues to offer the very best in cleaning services to both the private and public sectors across Glasgow and Scotland. With emphasis on improving standards, using cutting edge equipment, and the latest environmentally friendly products, we are also proud of our health & safety record and well trained, reliable staff. 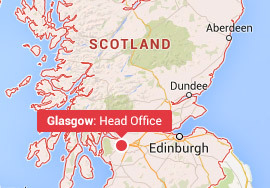 With our head office in Glasgow, we have a strong client base in the city and across Scotland and those customers feel confident & assured by our attention to detail and prompt & professional service. As one of the longest running and most experienced cleaning companies, we offer reliable and high-quality cleaning services at competitive prices to the exacting specification of our clients.